Beautiful Geraldine Iheme who was the second female to represent Nigeria in Big Brother Africa -The Revolution in 2009 has released her pre-wedding photos. Geraldine Iheme and her fiancé, Otas Bazuaye took a step further sometimes ago towards making their union official. The couple had their introduction ceremony on Saturday, January 23 and a photos were shared by the bride-to-be on her Instagram page. 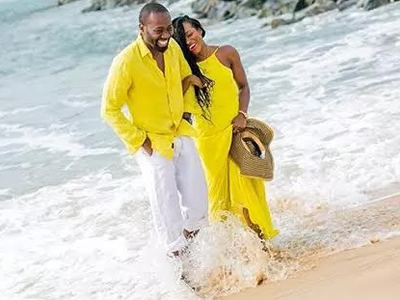 Recall that Geraldine got engaged to her man, Otas Bazuaye who is a rapper known with stage name Mr Bigg Splash in October 2015. Congratulations to the happy couple.